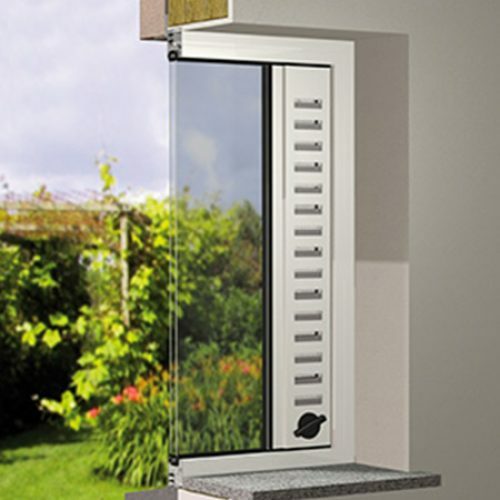 A thermally-broken louvred ventilator, made to measure, ins talled in a vertical (THL100V) or horizontal (THL100) position. It creates a natural air circulation. Incoming fresh air at the bot tom and outgoing humid warm air at the top of the ventilator for the vertical version. 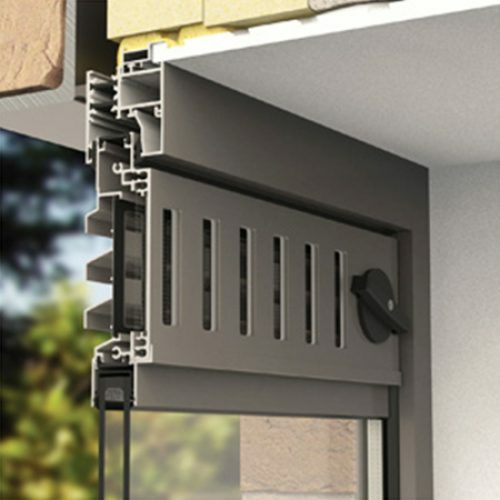 The ventilator is equipped with an aluminium and a uPVC slider which ensures good weather tightness. The thermal break separates the inner and outer slider, which results in an insulating layer of air, reducing the risk of condensation. Finishing: satin anodised or powdercoated in any RAL or Syntha Pulvin® colour (dual colour possible). Black endcaps in ASA polymer type Luran S (colour fast, weather- and UV-resistant). Flyscreen in stainless steel 2.3 mm x 2.3 mm.